Apple's next big developer event happened on June 4, and it was the first glimpse of iOS 12 that anyone's seen. While there were lots of rumored features to be unveiled at WWDC 2018, Apple concentrated mostly on squashing bugs and making iOS work as seamless as it did years ago. Still, we had hoped that Apple would have added these features in iOS 12, but only a few made the cut. While compiling this list, I obviously left out things like Messages on iCloud and AirPlay 2 since those were finally added in iOS 11.4. Otherwise, they would have been at the top of the list here. Also, a lot of these wish list items were things we originally wanted to see in iOS 10 and iOS 11 but never came to fruition. Hopefully, Apple will pay attention to us more next year. All of the features below marked with an asterisk (*) are ones that actually did make it into iOS 12. All of the ones without it are ones we hope will show up in later iOS 12 versions, or at least, iOS 13. Also note that the rest of this article has been untouched, in its pre-WWDC condition, aside from added asterisks. It's 2018, and there's still no universal dark mode for iOS, something we and other users have been asking for for a very long time. An official dark mode would change all the bright white elements to a dark color, which would be an excellent option for those who don't like or only wants to use Night Shift in bed. Apple has included some "dark" elements already in iOS, like in the iTunes Store and automatically in the keyboard, but a system-wide dark mode would be much appreciated, even if it's something they need app developers to add to their apps to work with a universal control. iOS 11 did add a "Smart Invert" option that is the closest thing to a dark mode that we've gotten, but it's just not good enough. The iTunes Store app isn't all dark mode (left) but some of it is (right). Multi-view features have been available for iPads for some time now, and Plus-sized iPhones first appeared in late-2014, so how come we still can't use Slide Over and/or Split View on big screen iPhones? There's definitely enough room, so it's likely that Apple is keeping these features an iPad-only thing to get users to buy both an iPhone and iPad, something not everyone can or wants to do. We wished for this for iOS 11, and it's still a massive want for iOS 12, especially since it's something Android already has for phones. FaceTime was released way back in 2010, yet eight years later, you can still only audio or video chat with just one other person. Last year, it was rumored to be appearing in iOS 11 for up to five participants in a group call, but that never happened. This year, it's a sure thing (or is it?). If we get finally get this, we might even be able to start group FaceTime calls right from group iMessage chats in Messages, and that alone would make this better than any third-party apps out there that already support group video or audio calls. While only iPhone X users can utilize Animoji characters right now, being able to use an Animoji character during a FaceTime video call rather than your cute mug will not only maintain privacy, it'll just be flat-out fun. It'll also be yet another way to convince other users to upgrade to a newer iPhone model, so it's like free advertising, and probably the main reason Apple is rumored to actually be including this in iOS 12. For some strange reason, iOS 11 removed the "Wish List" in the App Store but left it intact in the iTunes Store app. Not cool, Apple, not cool. Unless you had iTunes 12.6 or lower or immediately downgraded back to iOS 10, there was no way to recover the apps and games that were already in your Wish List. That could easily be fixed by adding it back in iOS 12 ... even if it doesn't remember previous saves. Before iOS 10, there used to be a 'Trash All' option in the inbox for mailboxes, but it's no longer there. There's one clever hack that brings back this functionality, but we shouldn't have to resort to such things. I'd love to see the 'Trash All' option back, but not just for inboxes (which I find drastic), but for folders and more importantly, from a search. Let's say you wanted to delete all the emails from Groupon in your inbox. You'd search for 'Groupon,' then can select either 'Mark All' and 'Trash' or just 'Trash All.' The former is fine with me. Anything is better than spending five minutes deleting 450 emails, as you can see below. Not fun. Especially if you accidentally rotate your device and it wipes out all your check-marking progress. iOS 11 actually fixed a lot of things we hated about the Control Center, specifically, a cleaner UI and customizable controls. However, Apple could make that last point even better by opening up resources for third-party developers to let users add controls for their apps just like they can add widgets to the Today View. Yes, you can toggle things off and on in the Control Center, but you still can't use these controls as a shortcut to get to the specific preferences in the Settings app. This is something Android has had for a while, and should definitely be something Apple copies from it. iOS 11 revamped how the Wi-Fi and Bluetooth controls work in the Control Center, and it's still reasonably confusing. Tapping them no longer naturally turns them on and off — one tap will turn them off for 24 hours, while another tap will turn them back on immediately. Maybe Apple can add a third tap to this ... tap once to disable for 24 hours, tap twice quickly to disable completely, then tap again to turn it back on. While there is a voice transcription feature for voicemails on an iPhone, there is no such ability for audio messages in the Message app. If you're in the library or another quiet place, you don't necessarily want to play an audio message out loud, so transcriptions can help you get the message sooner. If you don't remember, Apple included a way to group notifications by app instead of by time alone back in iOS 9, but it was removed in iOS 10 and never made a return in iOS 11. We'd like that choice back in iOS 12, as well as some other automatic options, like sorting by relevance or priority. If Apple wants to compete against Android's notification shade, they need this. This is another one I asked for last year but only received disappointment. For me ... spam phone calls are getting out of control, and you can't rely on the Do Not Call list to save you. Apple [has allowed] third-party apps to block calls [and/or warn you of possible spam calls] in your Phone app [since 2016], but the good ones are paid, and they all require access to your contacts, which doesn't sit well with a lot of users. As a built-in feature, you can block a phone number from the contact's info screen. You can even make 'Spam' the name of that contact, then add new spam numbers to it each time you get one. But why not make this easy on us? You can swipe left to delete a call in the Recents [tab], so why not a swipe right to mark it as spam? Even a 3D Touch action would work. We shouldn't have to create our own spam box — it should be built in — especially since there's no way to block voicemails anyway. Yes, you can use apps like AT&T Call Protect for free to get warnings of potential spam calls, but it only works for AT&T customers. Other apps like Hiya Caller ID and Block work for any carrier and do have free spam warnings, but Apple should bake in some more stock controls to help combat spam and fraud calls, as well as improved controls for text messages (you can already report spam texts to a certain degree). The Mail app could also use some more love in the "Junk" department. There seems to be a repetitive theme going on here, where a lot of these wish list items were ones that were wanted in iOS 10 or iOS 11, and better volume controls is another one that fits that mold. 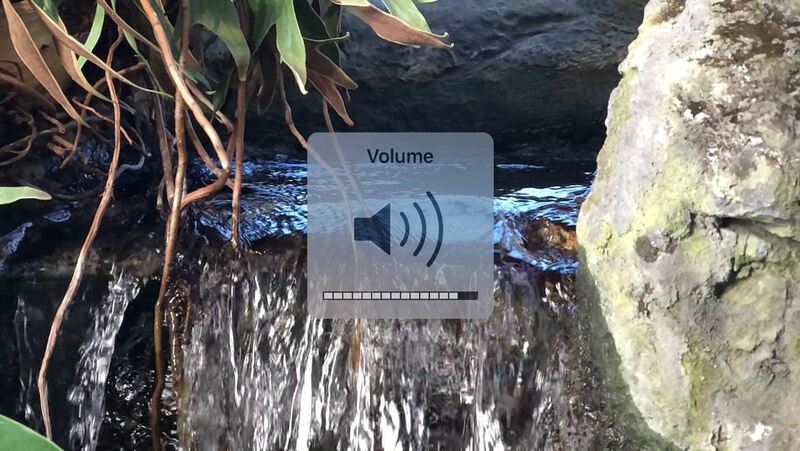 While a lot of third-party apps have removed the annoying volume HUD (the popup that says "Volume" with a prominent speaker icon, volume notch indicator, and translucent background), Apple has only removed it from a few of their apps. For instance, watching videos in Photos will still show the annoying video-blocking volume HUD, and it even appears on the home screen. Let's just get rid of it everywhere. Thank you. Another item I've wanted for a while ... a non-trick shortcut to turning off the flashlight from the lock screen. The iPhone X finally fixed this issue by slapping a flashlight button right on the lock screen, but other iPhone models still have to swipe up the Control Center to access the off switch. Gboard, perhaps the best third-party iOS keyboard, received an update on April 13 that added long-press or swipe-up number options to the first row of letters on its keyboard. While it's not a dedicated number row, it's still way better than what Apple offers in its stock keyboard. Even if Apple made this an opt-in feature, I'd be okay with that. We didn't get this last year, but hoping for redemption this year. Speaking of Gboard, another thing Apple could learn from its competition is the ability to swipe to type. Even if this was an opt-in feature, it would be amazing and would be one more reason to ditch Gboard and other swipe-friendly keyboards and go back to stock. Again, we asked last year, but never received. With all the cool new education tools that iPads are getting in schools, Apple could at least open up an oldie but goodie feature that iPads have had for a while now in education settings — "Shared iPad" — which was released back in iOS 9.3 in 2016. I really hoped there would be a "Shared iPhone" option in iOS 11 (and in iOS 10), but it never happened. And I know I'm not the only one who wants this. Remember back in the day when you could rate a song playing in Music right from the lock screen player? It was so long ago I can't even remember when it was, but I know it was there, and I want this feature back. When running or driving or whatever you're doing on the move, it's just way easier to rate a song with stars from the lock screen and/or Control Center player rather than unlocking the iPhone and tapping a bunch of buttons. I'm not sure what life would be like without the "Clear All" 3D Touch gesture for notifications, and I'm sure everyone out there without 3D Touch is still pining for this to just be a long-press gesture instead, especially since the iPhone 5S, iPhone 6, iPhone 6 Plus, and iPhone SE are all expected to receive the iOS 12 update. Aside from the "Clear All" notifications for non-3D Touch users, Apple could also give us an option to clear an app's cache (not just for all apps at once), as well as a way to "Force-Close All" from the app switcher. Third-party apps like Outlook have the option to let you unlock the app with either Touch ID or Face ID, but only a few of Apple's tools allow you to do it. For instance, you can use Touch ID or Face ID to unlock notes in the Notes app, as well as iWork documents, but that's about as good as it gets. Biometric unlocking and even passcode unlocking for things like the "Hidden" album in Photos would make it actually something you could call "Hidden." This should be an option for all apps and even features within those apps. The default Camera app leaves a lot to be desired, but the biggest thing missing from it is manual controls. Yes, you can turn off the flash, lock in the exposure, and change brightness, but you can't do things that other apps like Camera+ and Halide can do, such as shoot in RAW, manually adjust focus, change the ISO, and more. What Do You Want to See in iOS 12? Hiding home screen apps for a cleaner look. Rearrange home screen icons however you want (with empty spaces). Sort apps automatically by name or kind. Custom icon packs (and not just a way for third-party apps to let you change their own icons). Live icons on the home screen. Always-on widgets on the home and lock screen. Desktop mode so the iPhone can be used with an external display, keyboard, and mouse. More customization options all rounded, like themes, background colors for Apple apps, different color bubbles for specific users in iMessages, etc. More advanced options and full-system support for Workflow automation. Improved battery widget that shows more stats and information. Picture-in-picture mode, and not just for YouTube videos in the YouTube app like we already have. Screen-sharing in FaceTime video calls. Call recordings in FaceTime video and audio calls. Removal of shake-to-undo, which can be accidentally triggered, in favor of a button or different gesture. A built-in way to see EXIF data or rename photos. A way to set a default aspect ratio for photos. Banner notifications for phone calls (instead of taking up the whole screen). Always-on display for the iPhone X. A way to sort apps by data usage (in the "Cellular" settings). A quick way to get refunds for accidental app purchases. Typing bubble on the Messages main screen. Customizable lock screen app shortcuts. Built-in translator for Safari (not just a Microsoft Translator action). Reset default apps for actions.